USB-C: A universal connector for the future but currently only usable with expensive adapters. 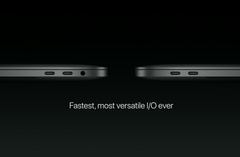 The new MacBook Pro has arrived, what is missing are all of the standard ports like HDMI, USB 3.0 or SD-Card reader. While Apple is saying that USB-C and Thunderbolt 3 are the future you will need a lot of expensive adapters for the time being. Apple released their new MacBook Pro and everyone is happy! Everyone? No, some editors warn potential customers about the potential need for a lot of adapters and criticize Apple for leaving out all of the standard ports that customers of their new MacBook Pro will still need for the foreseeable future. Ironically Apple added the only port, that it recently left out of the iPhone 7 because it was too ancient for an iPhone already: the 3.5 mm headphone jack. Apart from that, you will only find two to four USB-C ports, that are Thunderbolt 3 compatible, the most universal port the industry ever created but which is largely useless without adapters for the foreseeable future. 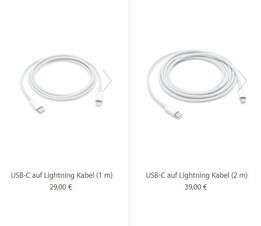 For the time being iPhone users will need an USB-C to Lightning cable that currently costs up to $35 at the Apple Store. To connect your MacBook (Pro) to a TV or projector you will need an USB-C to HDMI adapter. Not even a simple USB stick can be connected to the MacBook Pro without an adapter and downloading the latest camera shots from your DSLR will require yet another adapter because Apple left out the SD card reader as well. What all this mean is, that you need to carry all of these adapters, and maybe more with you at all times because you cannot expect them to be available where you are going. What you are saving in space thanks to the thinner and lighter MacBook Pro you will carry in the form of adapters. Apple has been criticized many times for leaving out ancient standards but removing all of the currently used standard ports while you still need them for almost anything you connect to, is a new form of punishment that started with the MacBook in 2015 but may even be worse in a laptop geared towards professionals. Techcrunch correctly states, that Apple cannot expect all of these ports to become obsolete over the next few years just because USB-C is available and potentially better. For the customer it means to commit to working with adapters most of the time if you decide to go with a new MacBook Pro. It costs up to $35 if you want to connect an iPhone to a MacBook Pro. One Port to rule them all. But in the present you need adapters.